Last week, many around the world were watching with rapt attention as the Roman Catholic Church went through the process of selecting a new pope. Among the people’s many titles, is “Vicar of Christ” which means he is Christ’s representative on the earth. “Vicar” is the word we get “vicarious” from, and it is used when describing Christ’s vicarious death for us, as he took the punishment we deserved.But the question to be asked is this: who is the real Vicar of Christ? Surprisingly, the New Testament does answer that for us. Because, whether you realize it or not, if you are a born again Christian, YOU are the Vicar of Christ to those around you. Here’s how I got there. Christ uses us to be His mouthpiece to the lost. Jesus is not showing up personally and telling lost people to follow Him. No, that is what He commanded His disciples to do, and He is not going to give us mission and not expect for us to carry it out. We are His voice, His hands, and His feet to carry the Gospel message to the world and plead with with them to be reconciled to God. That is why Jesus began the Great Commission with “all authority has been given to me….go therefore”. We aren’t going out for our own sakes. We go in the authority He has been given, and has delegated to His servants. Not only is our message one that is from God, but our actions are done in His name as well. 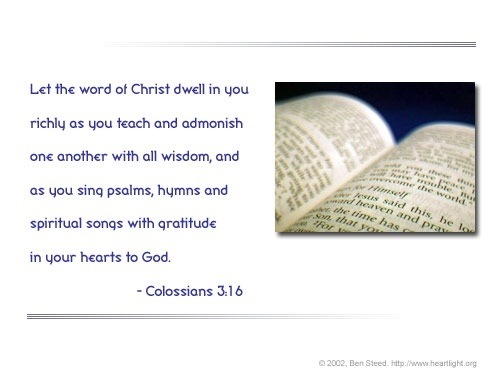 In context, this verse is talking about the way we minister to one another in the church. But the principle carries over to all that we do. With that in mind, we need to always be cognizant of the fact that, as Christians, everything we do on a daily basis should be something that represents who Christ is. Being a vicar of Christ is not a part-time job. Not only do we as Christians carry His message, we are often the message itself. The saying that “you are the only Bible some people will ever read” is definitely true. In fact, if people don’t see the truth of our message being lived out in front of them, they will give no credence to the message we speak. In gourmet cooking, presentation is important because food must look appetizing or no one will want to eat it. The saying goes, “the eyes eat first”. The same is true of our walk with God. People need to see the truth of our message before they hear the truth of our message. So there you have it. While the world press have been guessing who the Vicar of Christ was going to be, they didn’t realize that all the needed to do for an answer to that question was to go and find a Christian. 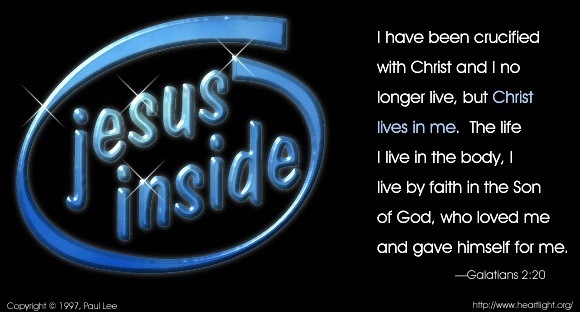 We are all Vicars of Christ as He lives and speaks through us. He was a traitor to his people, his family, and his own integrity. He had been kicked out of his family, his faith, and his nation. No one wanted anything to do with him, unless it meant casting further scorn on him or even killing him. He had nothing left but a nagging conscience, which he tried to drown out in the pursuit of wealth at the expense of those who had cast him out. Things had not always been this way. He was from a priestly family, and had been given the name of his tribe — Levi. But somehow, somewhere, the temple worship had lost its luster for Levi. Perhaps it was the hypocrisy of the Pharisees as the paraded around like pious peacocks wanting to be admired for their meticulous obedience to the traditions of the fathers. Then again, maybe it was the greed of the money changers, who were stealing from the people like the hated tax collectors, but whitewashed it as holy commerce. So Levi left it all and went to the dark side. He began collecting taxes for the emperor, with extra added on for his personal “needs” as he saw fit. His father Alphaeus (Clopas in Hebrew) was heartbroken, as was his mother Mary. His brother James had severed ties with Levi long ago and would not even speak to him or acknowledge that he was even alive. This family, once admired for their priestly piety and decorum, was coming apart at the seams. But then He came along. A prophet from Nazareth of all places. His name was Jesus, and He taught in a way none of them had heard before. Instead of rambling quotes from rabbis of the past, He taught with authority. 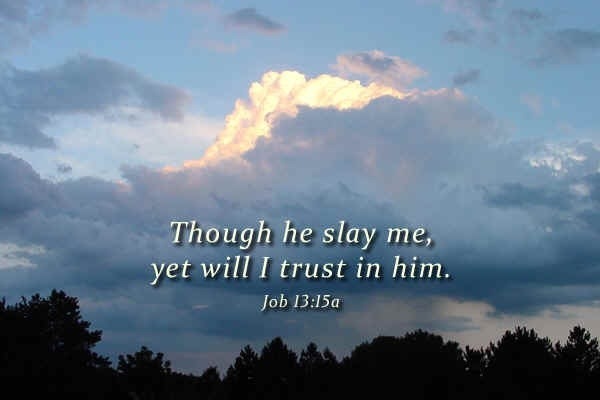 What especially appealed to Levi was the man, Jesus, who was not afraid to say out loud some of what he had been thinking all along about the Pharisees and the money changers. From what he could tell, his mother was the first to become a disciple, followed soon after by his brother James and father Alphaeus. It was all well and good for them, but what Levi had done was so heinous as to be irreversible. There was no path back into the fold once you sold your soul to Rome. “Good for them!” he thought. At least they had found the answers he had been looking for but only discovered too late for redemption. Even if, somehow, this Jesus would let him follow at a distance, his father and brother would never publicly accept him back into the family. And he was wrong. Jesus was teaching about forgiveness and restoring relationships with his Father in heaven. Perhaps there was a chance, but did Levi dare to get his hopes up? No, it was best to resign himself to making the most of life as an outcast. And then one day, as if out of nowhere, Levi was blindsided. Before he had time to consider the “what ifs” Jesus of Nazareth walked by his tax station. Would he be today’s object lesson, or the brunt of righteous indignation? Levi braced himself. What he heard instead were the sweetest words ever to enter his ears and pierce his soul. 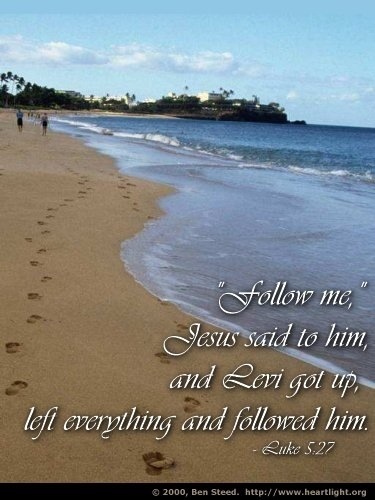 As their eyes met, Jesus simply said, “Follow me.” And that’s exactly what he did. Levi had messed up enough things in life, and he was not going to miss this opportunity. 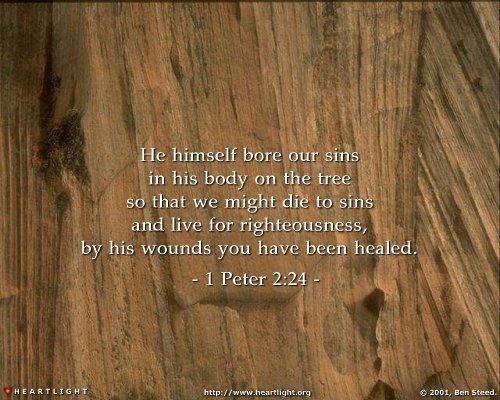 For instead of scorn and condemnation, he heard words of forgiveness and redemption from his Creator. Levi (or Matthew) was now reunited with his family, including the brother who once counted him as dead. Soon they would both be apostles. They were not brought together as priest and traitor, but as brothers in Christ, and the old had passed away forever. I wonder sometimes if Levi and Jesus ever discussed what it was like to have a mother named Mary and a brother named James? This family, once so broken and shattered, had been reconciled around their love for Jesus Christ. Love does that; it restores. Levi could be “brother” to James, and the other disciples (even Simon the Zealot). Have you wandered so far that you think there is no way home to God? If that worries you, then no, you can still come home. But do not delay to do so, for if you refuse His offer of restoration and reconciliation to God, the urge will wane and you will lose the desire and eventually the ability to repent. Come back now. Jesus is still looking at each one of us and saying “Follow Me” on a daily basis. Make today “that day” for you.